Anthony Michalik, from Ephrata, PA, and David Verghese, from Leonardtown, MD, will profess their first vows with the Redemptorists on August 6 during a Mass at the Shrine of St. John Neumann in Philadelphia. Redemptorist Provincial Kevin Moley will receive the vows during a 12:15 p.m. Mass. After completing a one-year novitiate and receiving the habit, men discerning a vocation to the Redemptorists profess temporary vows of poverty, chastity, and obedience. They will renew their temporary vows for at least three years before making their final vows, their permanent commitment to the Congregation. Anthony Michalik, 58, grew up in Ephrata, PA, and attended the Redemptorist-run Our Mother of Perpetual Help Parish. He went to the Redemptorists’ high school seminary, St. Mary’s in North East, PA from 1968-71. Upon graduation he entered the novitiate in Ilchester, MD. After professing his first vows, he studied for two years at the Redemptorists’ St. Alphonsus College in Suffield, CT. 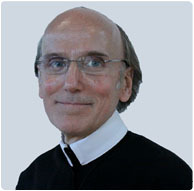 He left the Redemptorists in 1974 and moved to New York City to pursue a career in music and the performing arts. In 2000, he took a job as director of music ministry at Most Holy Redeemer, a Redemptorist-run parish on the Lower East Side of Manhattan. He re-entered the Redemptorist formation program in Whitestone, NY in 2008, and entered the North American Novitiate in Toronto, Canada in 2010. He will begin his first year of theology studies in September. 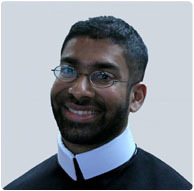 David Verghese, 31, grew up in St. Aloysius Gonzaga Parish in Leonardtown, MD. He spent a year working with the Missionaries of Charity in Washington, D.C. before entering the Redemptorist formation program in Whitestone, NY, in 2004. He entered the North American Novitiate, then located in Glenview, IL, in July 2006 but did not complete the year. He entered Mount St. Mary’s Seminary in Emmitsburg, MD as a seminarian for the Archdiocese of Washington, D.C., and studied there from 2007-09. In 2009, he re-entered the Redemptorist formation program and completed his third year of theology studies at Boston College in 2010. He entered the novitiate in Toronto in 2010. He will begin his fourth year of theology studies in September. Both men will study at Boston College’s School of Theology and Ministry, and will reside at the Redemptorist formation residence at the Basilica of Our Lady of Perpetual Help (Mission Church) in Boston. For more information about joining the Redemptorists, visit redemptoristvocations.com or contact our vocation director, Fr. Richard Bennett.